What’s the dose up there? 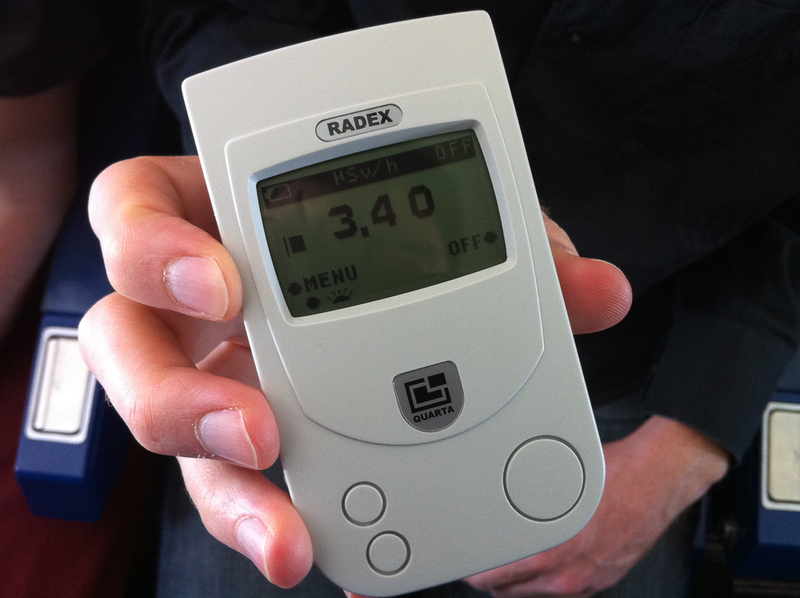 The best thing with plane trips is that they’re a great way to test your Geiger counter. If you don’t have one you can also look out the window or catch up with your crappy movies stack but you’re then missing out on all the fun. At an altitude of 10 000 m the typical dose rate is indeed around 3 µSv/h instead of the 0.1 µSv/h that is commonly observed at ground level. The culprit is of course the atmosphere layer that gets thinner as the plane flies higher and can thus absorb less cosmic radiation. That is not a problem for passengers who are flying only occasionally but for pilots and cabin crews the dose may be more than negligible. Since 1996 EU legislation thus requires airline companies to monitor their employees’ exposure. In the industry or medical field this is usually done through dosimeters but for a reason that will be explained later it would be far too impractical here. The chosen solution is thus different: all flights performed by pilots or cabin attendants are registered in an online database from which the received doses can be computed thanks to a model that is updated periodically with data provided by the IRSN (Institut de Radioprotection et de Sûreté Nucléaire) and Observatoire de Paris.